China’s next Five-Year Plan is due to be formally approved by the National People’s Congress in March 2016. One of the areas of focus is the role of China’s State-Owned Enterprises, generally viewed with suspicion by the West and also seen within China as bloated and in need of a clean-up. The Five-Year Plans have become a flexible political tool in the hands of central leaders seeking to shape the behaviour and priorities of diverse ministries and local governments. China’s Cabinet recently released the latest document in what will be a cascading series of plans and guidelines feeding into China’s policy settings between now and 2020. The State-Owned Enterprise (SOE) Guidelines are part of tackling China’s larger economic reform challenge. This requires shifting the overall macroeconomic growth model from domestic investment (mostly infrastructure) and a focus on exports, to one of growth led by domestic consumption and an expanded services sector. The guidelines are the latest stage of an SOE reform process underway since the 1990s, as the Chinese state-controlled economy has made way for a rapidly growing private economy sector. The words typically used to describe the SOE sector in China are “inefficient”, “bloated”, and “bulky”. The sector has been slimmed down a lot over the past decades, but still comprises 110 conglomerates. SOEs accounting for around 60% of total revenue are overseen by the central government’s State Owned Assets Supervision and Administration Commission. And between 25,000 – 150,000 SOEs (depending on which definition of “state-ownership” is used) are controlled and managed by provincial, municipal and lower levels of government. The larger SOEs maintain monopolies over key sectors of the economy (energy, mining, infrastructure) and smaller SOEs are characterised by low productivity and high debt levels. A lot of the problems and inefficiencies stem from the fact that the interests controlling SOE behaviour are not necessarily aligned with those of the wider economy or society. Authorities have been consolidating and “cleaning up” SOEs for better resource allocation for a while now. China’s two major bullet train makers completed consolidation in the first half of 2015, while China Railway Corporation recently announced an asset-reorganisation with one of its subsidiaries. 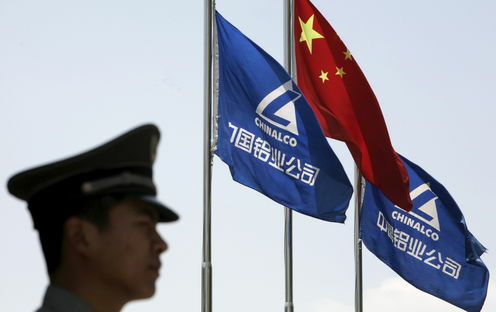 Central authorities indicated earlier this year that Beijing would like mergers and acquisitions to result in a figure of around 40 conglomerates under the SASAC. The real challenge will be in getting the Provinces to cooperate in cross-border mergers of provincial and municipal SOE assets. The ambitious Beijing-Tianjin-Hebei regional integration blueprint provides an important testing ground for getting different localities to cooperate, share and consolidate economic and social planning and resources. Schools, universities, medical goods and service providers, and operators of public utilities (water, sanitation, energy, transport and communications) together form a huge and important part of the Chinese economy. It is important that they be run efficiently, but also important that they fulfil the social purposes for which they exist. Providing equitable access to essential public goods and services means these firms cannot be expected to run on purely commercial considerations. And so the SOE guidelines indicate that SOEs will be categorised as either “commercial” or “public goods and services”, and dealt with accordingly. Commercial SOEs will be encouraged to become leaner, more efficient, and more market-oriented, while “social” SOEs will be encouraged to focus more on the quality of service provision. A key part of making SOEs more efficient and more market-oriented is to allow private investors to purchase ownership stakes. SOEs will be encouraged to bring in “various investors” through share-rights swaps, issuing new shares and/or convertible bonds and other means. Institutional investors in particular, including foreign ones, will be allowed/encouraged to buy stakes in SOEs, and SOEs will be allowed to experiment with employee share ownership schemes. Oil and gas, electricity, railways and telecommunications have been identified as suitable for “limited” private investment: indeed, key energy companies Sinopec and National Petroleum Corp have already begun selling off parts of their operations. While the Singapore Temasek model of state investment has been cited, strategic SOEs in China will never fit that model, but will remain under strict state (ie. Party) control. Improved independent decision-making at board level will be encouraged by requiring the boards of all SOEs to have a majority of non-executive (external) directors. More professional managers will be employed, and a more flexible and market-based compensation system for SOE officers will link pay to company performance. The key obstacle to SOE reform will be overcoming “pushback” from entrenched interests at local, provincial and national government levels. Overcoming this obstacle is made particularly difficult because of the emphasis on leadership of, and control by, the Chinese Communist Party. Reforming the Party, particularly to reduce corruption, is also an important part of the Five-Year Plan, but loosening the Party’s grip on control is nowhere in sight. The extent to which the politics of the 13th Five Year Plan remain compatible with its economic reform goals therefore remains to be seen.